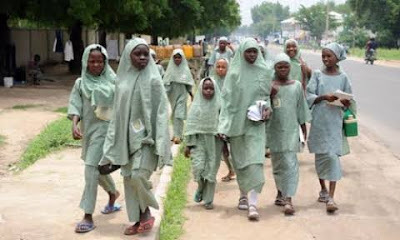 The Bauchi State government has ordered the closure of one of its schools after the discovery of secretly arranged marriages among its students. The order for the closure was contained in a statement issued by Yakubu Adamu, the Special Assistant on Communication to the state Deputy Governor and Commissioner of Education, Engineer Nuhu Gidado. “I directed the immediate closure of the school on Friday, 10th March 2017 after being notified about the issue,” Gidado said, adding that a committee comprising all directors in the state Ministry of Education, the school authority, teachers as well as the Parents Teachers Association (PTA) of the school had been constituted to investigate the matter. The discovery of the students’ ‘mock marriages’ was made at the Sa’adu Zungur Model School, a primary and secondary school located in Bauchi metropolis. Some senior male and female students of the school were said by sources to have been conducting illegal marriages among themselves within the school. Daily Trust gathered that male students usually pay token sums ranging from N500 as dowry to their female counterparts for their marriages while classmates of the ‘grooms and brides’ contribute money to purchase snacks consumed at the ceremonies. The sources revealed that male and female students study in separate classes, and the attention of the teachers was drawn to the illegal marriages only last week. A source said an SS two student organized a wedding ceremony between him and his girlfriend who was also a senior student, and it was during the celebration that the teachers’ attention was drawn when they heard noises which indicated a celebration and rushed to the venue to behold what was happening. The matter was later reported to the school principal, Malam Ahmed Zailani who consulted the state Ministry of Education.